"Cooktown" redirects here. For other uses, see Cooktown (disambiguation). Cooktown is at the mouth of the Endeavour River, on Cape York Peninsula in Far North Queensland where James Cook beached his ship, the Endeavour, for repairs in 1770. Both the town and Mount Cook (431 metres or 1,415 feet) which rises up behind the town were named after James Cook. Cooktown is one of the few large towns in the Cape York Peninsula and was founded on 25 October 1873 as a supply port for the goldfields along the Palmer River. It was called "Cook's Town" until 1 June 1874. In the local Guugu Yimithirr language the name for the region is Gangaar Aboriginal pronunciation: [ɡ̊anˈɡaːr], which means "(Place of the) Rock Crystals." Quartz crystals were used in various Aboriginal ceremonies across the continent and are found in the vicinity; they were traded from the Cooktown region at least as far as Mossman, about 300 kilometres (190 mi) south of Cooktown, and possibly much further. The site of modern Cooktown was the meeting place of two vastly different cultures when, in June 1770, the local Aboriginal Guugu Yimithirr tribe cautiously watched the crippled sailing ship – His Majesty's Bark Endeavour – limp up the coast seeking a safe harbour after sustaining serious damage to its wooden hull on the Endeavour Reef, south of Cooktown. The Guugu Yimithirr people saw the Endeavour beach in the calm waters near the mouth of their river, which they called "Wahalumbaal". The captain of the Endeavour, Lieutenant James Cook, wrote: ". . . it was happy for us that a place of refuge was at hand; for we soon found that the ship would not work, and it is remarkable that in the whole course of our voyage we had seen no place that our present circumstances could have afforded us the same relief". The British crew spent seven weeks on the site of present-day Cooktown, repairing their ship, replenishing food and water supplies, and caring for their sick. The extraordinary scientist, Joseph Banks, and Swedish naturalist Daniel Solander, who accompanied Cook on the expedition, collected, preserved and documented over 200 new species of plants. The young artist Sydney Parkinson illustrated the specimens and he was the first British artist to portray Aboriginal people from direct observation. After some weeks, Joseph Banks met and spoke with the local people, recording about 50 Guugu Yimithirr words, including the name of the intriguing animal the natives called gangurru (which he transcribed as "Kangaru"). Cook recorded the local name as "Kangooroo, or Kanguru". The first recorded sighting of kangaroos by Europeans was on Grassy Hill, which rises above the place where the ship was beached. Cook climbed this hill to work out a safe passage for the Endeavour to sail through the surrounding reefs, after it was repaired. "The visit on the 19th of July 1770 ended in a skirmish after Cook refused to share the turtles he kept on the Endeavour with the local inhabitants. They set fire to the grass around Cook’s camp twice, burning the area and killing a suckling pig. After Cook wounded one of the men with a musket, they ran away. Cook, Banks and some others followed them and caught up with them on a rocky bar near Furneaux Street, which is now known as Reconciliation Rocks. A “little old man” appeared from the group of Indigenous Australians and they were reconciled. This was an important historic event as it is believed that this is the first recorded reconciliation between Europeans and Indigenous Australians ever." Cook named the river the "Endeavour" after his ship, and, as they sailed north, he hoisted the flag known as the "Queen Anne Jack" and claimed possession of the whole eastern coast of Australia for Britain. He named Cape York Peninsula after the then-Duke of York and Albany ("The Grand Old Duke of York"). "In 1886 the people of Cooktown were anxious to recover the brass guns of the Endeavour which were thrown overboard, in order to place them as a memento in their town; but they could not be found, which is not altogether surprising." The next recorded European expedition to the area was nearly 50 years later, when another botanist, Allan Cunningham, accompanying Captain Phillip Parker King, visited the remarkable region in 1819-20. He also collected numerous botanical specimens for the British Museum and Kew Gardens. In 1872, William Hann discovered gold in the Palmer River, southwest of Cooktown. His findings were reported to James Venture Mulligan who led an expedition to the Palmer River in 1873. Mulligan's expedition found quantities of alluvial gold and thus began the gold rush that was to bring prospectors to the Endeavour River from all over the world. The Queensland government responded quickly to Mulligan's reports, and soon a party was dispatched to advise whether the Endeavour River would be a suitable site for a port. Shortly after, a new township was established at the site of the present town, on the southern bank of the river and Cooktown Post Office opened on 1 January 1874. 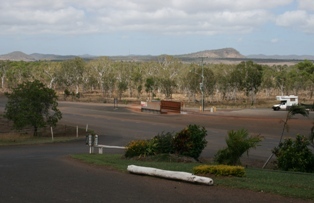 The Palmer goldfields and its centre, Maytown, were growing quickly. The recorded output of gold from 1873 to 1890 was over half a million ounces (more than 15,500 kg). Cooktown was the port through which this gold was exported and supplies for the goldfields brought in. Word of the gold quickly spread, and Cooktown was soon thriving, as prospectors arrived from around the world. Population estimates vary widely, but there were probably around 7,000 people in the area and about 4,000 permanent residents in the town by 1880. At that time, Cooktown boasted a large number of hotels and guest houses. There were 47 licensed pubs within the town boundaries in 1874 although this number had dropped to 27 by the beginning of 1880. There were also a number of illegal grog shops and several brothels. There were bakeries, a brewery and a soft drinks factory, dressmakers and milliners, a brickworks, a cabinetmaker, and two newspapers. The port of Cooktown served the nearby goldfields and, during the goldrush of the 1870s, a Chinese community many thousands strong grew up in the goldfields and in the town itself. The Chinese played an important role in the early days of Cooktown. They came originally as prospectors, but many established market gardens, supplying the town and the goldfields with fruit, vegetables and rice, while others opened shops. However, largely through cultural misunderstandings, conflict broke out between the Aboriginal people and the new settlers, and the diggers. The Cooktown Herald, 8 December 1875, reported: "The natives wholly ignorant of the terrible firepower of fire-arms, and confiding in their numbers, showed a ferocity and daring wholly unexpected and unsurpassed. Grasping the very muzzles of the rifles they attempted to wrest them from the hands of the whites, standing to be shot down, rather than yield an inch...." It was an unequal struggle. Whole tribes were wiped out as European settlement spread over Cape York Peninsula. In 1887, a Chinese Investigation Commission to South-East Asia arrived in Cooktown from Canton to investigate the social conditions of Chinese living in the colonies and to establish consulates in them. The visit went well, General Wong Yung Ho was pleased with what they had found, and cheers were exchanged between the Commission members and local residents as they left on 7 August 1887. Transport was an ongoing problem for the new settlers. Getting supplies and people to the goldfields often took three weeks. After every wet season the tracks and bridges had to be remade. A railway line from Cooktown to Maytown, was planned, but it took five years to get the 67 miles (108 km) to Laura – and that is where it stopped. By that time the gold was petering out, so the Queensland Government refused further funding for the venture. In spite of this, the train proved to be a lifeline for the Peninsula people connecting the hinterland to Cooktown, from where one could catch a boat to Cairns and other southern ports. The line was closed in 1961 after the Peninsula Development Road was built connecting Cooktown and other Peninsula communities with Cairns and the Atherton Tableland to the south. Cooktown's magnificent Botanic Garden of 62 hectares (154 acres) was established near the town in 1878. Much work was done in the early stages – with wells sunk, water reticulated, garden beds enclosed, stone-lined paths, stone-pitched pools and footbridges made, and lawns, trees and shrubs planted. Although the gardens fell into disrepair, in recent years they have been expanded and are a popular destination for botanists and nature lovers. Most of the early stonework has been restored, and beautiful walking tracks lead the visitor through the Botanic Garden to the magnificent beaches at Finch Bay and Cherry Tree Bay. In 1881, a bridge over the Endeavour River was completed, which opened up the richer pastoral lands of the Endeavour and McIvor River valleys. Tin was found in the Annan River area, south of Cooktown, in 1884. In 1886, Lutheran missionaries came to Cooktown to establish a secure place for the Aboriginal people who were living in abominable conditions on the edge of the town. Missions were established at Elim on the beach (later they moved inland to Hopevale), and Wujal Wujal, near the mouth of the Bloomfield River. Also in 1888, five Irish nuns from the Sisters of Mercy Order arrived in Cooktown and established a Catholic convent school. The original building is now used as the James Cook Historical Museum. "Cooktown, which now stands on the Endeavour River, is a thriving place, and the northernmost town on this coast. It has some 2000 inhabitants, and is the port for a gold mining district. A deeper channel has now been dredged over the bar that gave Cook so much trouble, but it is not a harbour that will admit large vessels." With the gold rush over, the number of people living in the area started dwindling. Two major fires struck Cooktown – in 1875 and, again, in 1919 when whole blocks of buildings in the main street were burned to the ground. A major cyclone in 1907 added to the destruction. By 1940, little evidence of Cooktown or Maytown's interesting past remained. During the Second World War, Cooktown became an important base for the war effort. The civilian population of Cooktown was encouraged to evacuate in face of the Japanese advances and by 1942 the vast majority had left. The Aboriginal people of the Lutheran missions at Hope Vale and Bloomfield were forcibly removed - most being taken south to Woorabinda in May, 1942, while some of the elderly people were sent to Palm Island. The senior missionary, Pastor Schwartz (known as Muni to the local people), was arrested and placed in internment as he were suspected as being an enemy sympathiser. The Aboriginal people were not allowed to return to their homelands until 1949, well after the end of the war. Many Aboriginal people died when moved from their traditional lands, and many Aboriginal and white families never returned from their exile. Some 20,000 Australian and American troops were stationed in and around the town. The busy airfield played a key role in the crucial Battle of the Coral Sea when Japanese expansion towards the Australian mainland was finally halted. The last military unit, the 27th Operational Base Squadron of the RAAF, ceased operations in Cooktown in April 1946. In 1949, another cyclone devastated the town, and Cooktown's population declined further. With the closure of the rail link to Laura in 1961 and the "Peninsula Development Road" opened up to the south, the population declined to just a few hundred people before it gradually began to climb again. Cooktown has recently grown in importance again and become a popular tourist destination. The paving of the Mulligan Highway now provides all-weather access by road for the first time. There are two flights a day connecting Cooktown with Cairns. The town now has good communications, more services, better roads, and offers residents a relaxed and healthy lifestyle. Fewer than 2,000 people live in the town itself while about another 4,000 in the region use it as a service centre. Visitors enjoy the delightful tropical environment, the historical connections, and use it as an access point to the Great Barrier Reef, the Lakefield National Park, and for fishing. Cooktown has a public library, bowling green, swimming pool, golf and turf clubs, historic cemetery, Chinese shrine, James Cook Museum, Botanic Gardens with walks through to the beaches, the heritage-listed Grassy Hill lighthouse, and a new $3 million Events Centre next to the Cooktown State School, built to double as an emergency cyclone shelter for Cooktown. The Information Centre and an Environment Display are in Nature's Powerhosue in the Cooktown Botanic Garden. Charlotte Street is the main heritage precinct. The Cooktown Public Library opened in 1995 and underwent a major refurbishment in 2013 and a minor refurbishment in 2015. Cooktown is of particular interest to botanists since the time of James Cook's visit when extensive collections and illustrations were made of local plants. It is situated at the junction of several vegetation zones including tropical rainforest, sclerophyll forests, sandy dunes and lagoons. Vera Scarth-Johnson, a local resident, gave a priceless collection of her botanical illustrations to the people of Cooktown, which are now housed in a dedicated gallery at Nature's PowerHouse situated in the Botanic Gardens, and features displays of local flora and fauna. 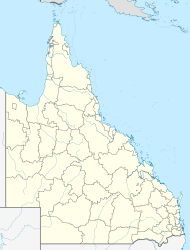 Cooktown is a service centre for the district including the Aboriginal communities of Hopevale, 47 kilometres (29 mi) to the northwest, and Wujal Wujal, 72 kilometres (45 mi) to the south. Cooktown is the northern terminus of the Bicentennial Heritage Trail, which, at 5,330 km (3,310 mi), is the longest trail of its type in the world. The southern end of the trail is at Healesville, Victoria, a town 52 kilometres (32 mi) north-east of Melbourne. There is an active Aboriginal Community Centre on the main street called Gungarde (from the original Guugu Yimithirr name for the region). The "Milbi Wall" (or "Story Wall")  marks the place of the first encounter between the British seafarers and the local Aborigines. The Milbi ('Story') Wall tells the story of Cooktown and the Endeavour River from the perspective of the Aboriginal people in tiles, and is an outstanding monument to reconciliation. The rugged Mount Cook (231 metres or 758 ft), named on 27 June 1818 by Phillip Parker King, forms a backdrop to the town and is now part of the Mount Cook National Park. According to the 2016 census of Population, there were 2,631 people in Cooktown. Aboriginal and Torres Strait Islander people made up 14.5% of the population. 69.9% of people were born in Australia and 78.4% of people spoke only English at home. The most common response for religion was No Religion at 31.5%. Because the area around Cooktown is unusually rich in biodiversity, being close to three major ecozones, it contains a large proportion of the 3,000 plant species and the more than 500 terrestrial vertebrates recorded for Cape York Peninsula. The region contains many rare or unusual species which are of great interest to botanists and zoologists. When Lt. James Cook beached his ship, HM Bark Endeavour, at the mouth of the Endeavour River in 1770, Joseph Banks, Daniel Solander, and Sydney Parkinson made good use of the enforced 7-week stay to make and illustrate an extensive collection of the plants of the area, where they collected the vast majority of plants they brought back to England from Australia. The illustrations were later published as the famous Banks' Florilegium. Since then, Cooktown and the Endeavour River Valley area have become a major attraction to biologists and illustrators of plants and animals. Vera Scarth-Johnson (1912–1999), spent almost thirty years illustrating the flowering plants of the region and then gave her collection to the people of Cooktown. Following her wishes, a beautiful gallery and nature interpretive centre was built in the Cooktown Botanic Gardens to house her collection and promote the study and appreciation of the flora and fauna of the area, which she named "Nature's Powerhouse." Cooktown is preparing to mark the 250th anniversary in 2020 of the visit of the British Expedition led by Captain James Cook including a major musical festival involving local people, international stars and a return of the replica of the ship "H.M.B. Endeavour". Cooktown has a tropical savanna climate (Köppen climate classification Aw). The wet season from December to April, is typically hot and humid but sea breezes and rainfall keep temperatures at bay. The dry season from May to November is less hot and humid, though unlike most of tropical Australia onshore winds still produce some light showers. The highest daily rainfall in Cooktown has been 405.4 millimetres (16.0 in) on 22 January 1914 and the record monthly rainfall 1,322.6 millimetres (52.1 in) in January 1979. The driest calendar year was 2002 with only 732.5 millimetres (28.8 in) at the newer Cooktown Airport site and the wettest 1903 with 3,128.1 millimetres (123.2 in). The Cook Shire Council operates a public library at 33 Helen Street. The Cooktown branch of the Queensland Country Women's Association meets at 107 Charlotte Street. ^ a b c Australian Bureau of Statistics (27 June 2017). "Cooktown (State Suburb)". 2016 Census QuickStats. Retrieved 23 January 2018. ^ a b "Cooktown (town) (entry 8055)". Queensland Place Names. Queensland Government. Retrieved 31 May 2014. ^ a b "Cooktown (locality) (entry 46124)". Queensland Place Names. Queensland Government. Retrieved 31 May 2014. ^ Cooktown. (2011). In Encyclopædia Britannica. Retrieved from "Archived copy". Archived from the original on 19 October 2011. Retrieved 19 September 2011. CS1 maint: Archived copy as title (link) on 19 September 2011. ^ Pike (1979), p. 23. ^ Holthouse (1967), pp. 27-28. ^ Pike (1979), p. 26. ^ "The 1887 visit of Chinese Commissioners." Cooktown Local News, 26 November - 2 December 2010, p. 9. ^ The Cooktown Railway Knowles, John Australian Railway Historical Society Bulletin, May 1958 pp. 65-82. ^ Pohlner (1986), pp. 112-116. ^ Sinclair (2005), pp. 16-19. ^ Sinclair (2005), p. 68. ^ "Cooktown". Centre for the Government of Queensland. Archived from the original on 11 March 2011. Retrieved 17 January 2011. ^ "The Queensland Public Libraries Statistical Bulletin 2016-2017" (PDF). Public Libraries Connect. Archived (PDF) from the original on 30 January 2018. Retrieved 15 January 2018. ^ Narrative of a Survey Volume 1 Archived 21 March 2016 at the Wayback Machine King's journal online. ^ "Archived copy". Archived from the original on 13 June 2009. Retrieved 25 June 2009. CS1 maint: Archived copy as title (link) National Parks website. ^ "Early Granite Kerbing and Channelling, Cooktown (entry 601731)". Queensland Heritage Register. Queensland Heritage Council. Retrieved 7 July 2013. ^ "Westpac Bank, Cooktown (entry 600419)". Queensland Heritage Register. Queensland Heritage Council. Retrieved 7 July 2013. ^ "Cook Shire Council Chambers (entry 601535)". Queensland Heritage Register. Queensland Heritage Council. Retrieved 7 July 2013. ^ "Motor Inn Motel (entry 600420)". Queensland Heritage Register. Queensland Heritage Council. Retrieved 7 July 2013. ^ "Ferrari Estates Building (entry 600422)". Queensland Heritage Register. Queensland Heritage Council. Retrieved 7 July 2013. ^ "Cooks Monument and Reserve (entry 601044)". Queensland Heritage Register. Queensland Heritage Council. Retrieved 7 July 2013. ^ "Cooktown Cemetery (entry 601147)". Queensland Heritage Register. Queensland Heritage Council. Retrieved 7 July 2013. ^ "Mary Watson's Monument (entry 600421)". Queensland Heritage Register. Queensland Heritage Council. Retrieved 7 July 2013. ^ "Gallop Botanic Reserve, incorporating Cooktown Botanic Gardens (entry 601696)". Queensland Heritage Register. Queensland Heritage Council. Retrieved 7 July 2013. ^ "James Cook Historical Museum (entry 600423)". Queensland Heritage Register. Queensland Heritage Council. Retrieved 7 July 2013. ^ "Grassy Hill Lighthouse (entry 601241)". Queensland Heritage Register. Queensland Heritage Council. Retrieved 7 July 2013. ^ "Cook Shire Hall (entry 601704)". Queensland Heritage Register. Queensland Heritage Council. Retrieved 7 July 2013. ^ "Cooktown Hospital (former) (entry 600424)". Queensland Heritage Register. Queensland Heritage Council. Retrieved 7 July 2013. ^ "Cooktown Powder Magazine (entry 600425)". Queensland Heritage Register. Queensland Heritage Council. Retrieved 7 July 2013. ^ Peter Harris in Scarth-Johnson (2000), pp. 7-8. ^ "Climate statistics for Cooktown Post Office". Australian Bureau of Meteorology. December 2012. Archived from the original on 3 March 2016. Retrieved 30 December 2012. ^ "Cooktown Library". Public Libraries Connect. Archived from the original on 15 January 2018. Retrieved 15 January 2018. Pike, Glenville (1979). Queen of the North: A Pictorial History of Cooktown and Cape York Peninsula. G. Pike. ISBN 0-9598960-5-8. Shay, John, ed. (2009). Cooktown Through the Years. Edited John Shay, The Cooktown & District Historical Society. ISBN 978-0-646-51650-9. Aughton, Peter. 2002. Endeavour: The Story of Captain Cook's First Great Epic Voyage. Cassell & Co., London. Edwards, Philip, ed. 2003. James Cook: The Journals. Prepared from the original manuscripts by J.C. Beaglehole 1955-67. Penguin Books, London. Harbours & Marine: Port & Harbour Development in Queensland from 1824 to 1985. 1986. Department of Harbours & Marine, Queensland. ISBN 0-7242-1638-3. Hough, Richard. 1994. Captain James Cook: a biography. Hodder and Stoughton, London. ISBN 0-340-58598-6. McIvor, Roy (2010). Cockatoo: My Life in Cape York. Stories and Art. Roy McIvor. Magabala Books. Broome, Western Australia. ISBN 978-1-921248-22-1. Ryan, Michelle and Burwell, Colin, eds. 2000. Wildlife of Tropical North Queensland: Cooktown to Mackay. Queensland Museum, Brisbane. ISBN 0-7242-9349-3. Sinclair, Don. 2005. Cooktown at War: A Record of Activities in Cooktown During World War II. Edition 2. Cooktown and District Historical Society. First Edition 1997. Williams, Glyndwr, ed. 1997. Captain Cook's Voyages: 1768-1779. The Folio Society, London. Wikisource has the text of the 1911 Encyclopædia Britannica article Cooktown. Wikimedia Commons has media related to Cooktown, Queensland. Cape York Peninsula is a large remote peninsula located in Far North Queensland, Australia. It is the largest unspoiled wilderness in northern Australia. The land is mostly flat and about half of the area is used for grazing cattle. The relatively undisturbed eucalyptus-wooded savannahs, tropical rainforests and other types of habitat are now recognized and preserved for their global environmental significance, but native wildlife is threatened by introduced species and weeds. In 1606, Dutch sailor Willem Janszoon on board the Duyfken reached Australia as its first known European explorer, discovering the Cape York Peninsula. Laura is a small town and locality in Cook Shire, Cape York Peninsula in northern Queensland, Australia. It is on the only road north towards the tip of the peninsula, and is the centre for the largest collection of prehistoric rock art in the world. It also forms the northern apex of the "Scenic Triangle" between Cooktown, Lakeland, and Laura. In the 2011 census, Laura had a population of 80 people. Lakeland is a town and locality in the Shire of Cook, Queensland, Australia. In the 2011 census, Lakeland had a population of 227 people. Hope Vale is a town within the Aboriginal Shire of Hope Vale and a locality split between the Aboriginal Shire of Hope Vale and the Shire of Cook, Queensland, Australia. It is an Aboriginal community. At the 2011 census, Hopevale had a population of 974 people. The Endeavour River, inclusive of the Endeavour River Right Branch, the Endeavour River South Branch, and the Endeavour River North Branch, is a river system located on Cape York Peninsula in Far North Queensland, Australia. Vera Scarth-Johnson,, was a noted botanist and botanical illustrator who is also remembered for her continual efforts to teach others to treasure the flora and environment of Australia and, in particular, the botanically rich region of Cooktown and the Endeavour River Valley, on Cape York Peninsula, in far northern Queensland. Quinkan rock art refers to a large body of locally, nationally and internationally significant Australian Aboriginal rock art of a style characterized by their unique representations of "Quinkans", found among the sandstone escarpments around the small town of Laura, Queensland. Quinkan Country was inscribed on the Australian National Heritage List on 10 November 2018. Lakefield is a locality in the Shire of Cook, Queensland, Australia. In the 2011 census, Lakefield had a population of 184 people. Cook Shire Council Chambers is a heritage-listed former town hall and now museum at 121 Charlotte Street, Cooktown, Shire of Cook, Queensland, Australia. It was built from 1876 to 1877 by Henry J Meldrum and John Sullivan. It was also known as Cooktown Post and Telegraph Office and is now known as Cooktown History Centre. It was added to the Queensland Heritage Register on 8 April 1997. Cooks Monument and Reserve is a heritage-listed memorial at Charlotte Street, Cooktown, Shire of Cook, Queensland, Australia. It was designed in the office of the Queensland Colonial Architect and built by Hobbs and Carter in 1887. It was added to the Queensland Heritage Register on 30 April 1997. Cooktown Cemetery is a heritage-listed cemetery at Charlotte Street, Cooktown, Shire of Cook, Queensland, Australia. It was built from 1874 to 1920. It was added to the Queensland Heritage Register on 8 April 1997. James Cook Historical Museum is a heritage-listed former convent and school and now museum at Furneaux Street, Cooktown, Shire of Cook, Queensland, Australia. It was designed by Francis Drummond Greville Stanley and built from 1888 to 1889 Hobbs & Carter. It was formerly known as St Mary's Convent and School. It was added to the Queensland Heritage Register on 21 October 1992. Gallop Botanic Reserve, incorporating Cooktown Botanic Gardens, is a heritage-listed botanic garden at Finch Bay Road, Cooktown, Shire of Cook, Queensland, Australia. It was built from 1878 to 1980s. It is also known as Cooktown Botanic Gardens & Recreation Reserve and Queens' Park Gardens & Recreation Reserve. It was added to the Queensland Heritage Register on 13 October 1997.